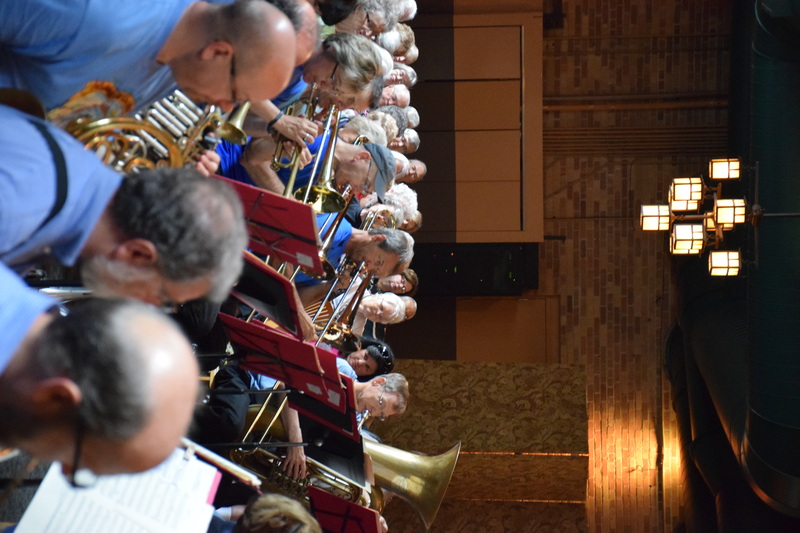 Warren is pictured at the right with his brass pals at the Nicollet Island “Rhapsody in Blue” concert from 2015. Warren earned a B.S. degree in Music Education from the University of Minnesota in 1980, and a certificate in Gifted/Creative/Talented Education from the University of St. Thomas in 2011. He started teaching instrumental music at Hill-Murray School in 1981, and has been the Coordinator of the Hill-Murray Parish Schools Band Program since 1984. Warren toured China with the University of Minnesota Wind Ensemble under the direction of Dr. Frank Bencriscutto in the summer of 1980, played tuba in the 451st Army Band, stationed at Fort Snelling, MN, and performed with the Tubadours at Valley Fair in Shakopee, MN. He played as an extra musician with the Minnesota Orchestra in the Casals Festival in San Juan, Puerto Rico, and for one season with the St. Paul Chamber Orchestra. In addition to performing with the Minneapolis Pops Orchestra, Warren plays in his own brass quintet, Minnesota Brassworks, and directs the Salem Wind Ensemble at Salem Covenant Church.